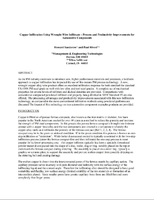 Halogen-free and RoHS-compliant devices with operating temperature range of -65 °C to +170 °C. 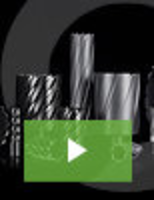 Consist of solid metal manganese-copper alloy resistive element with low TCR ± 20 ppm/°C and a welded terminal-to-element connection that allows for up to 346 A of continuous current. 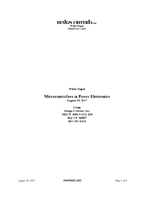 Provides low inductance values of < 5 nH, low thermal EMF down to < 1 µV/°C. The Secure Plug Merchandising Solution is designed to allow retailers power, secure and merchandise up to six products. 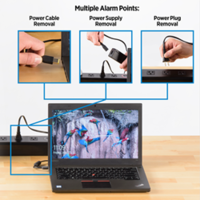 The power strip is also designed to allow for full device interaction and customer engagement. The Secure Plug has applications for laptops, wireless headphones, Bluetooth, wireless speakers, phones and tablets. 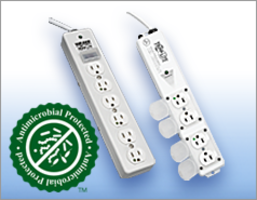 Medical-Grade Power Strips And Surge Protectors receive patented antimicrobial protection coating. Medical-Grade Power Strips and Surge Protectors meet CMS and joint commission regulations. Medical-Grade Power Strips and Surge Protectors come with antimicrobial silver ionic powder coating which helps to reduce cross-contamination. Units are suitable for managers of clinics, hospitals and medical offices. 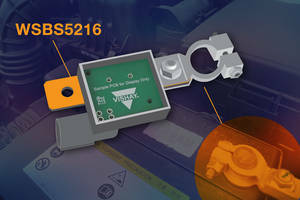 WSLF2512 Power Metal Strip Resistor minimizes power loss. Medical-Grade Power Strip has 25 ft cord, 20 A plug, 6 outlets. 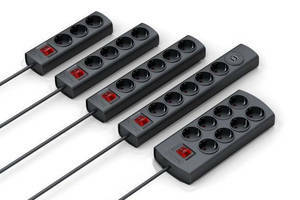 Data Center Power Strips feature upgradeable design. 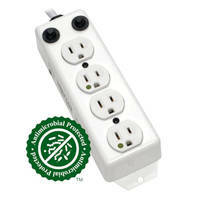 Power Strip distributes 400 Vdc to up to 12 appliances.